The paper analyzes the methods of incomplete data processing received in the course of geo-environmental monitoring. In the surveying process the part of data can be missed as a result of hardware failures, errors in research conducting, or when observations fail to be made in some periods, etc. Furthermore, the maximum likelihood method, the regression method, the principal component analysis, the stepwise regression, multivariate linear extrapolation method, the method of predictive variables can be used for error detecting and filling in the gaps of data sets. These methods work fine for large data sets and known distribution functions of the values in question. Empirical methods can be used for processing small amounts of information. The method of modeling low-dimensional manifolds is applied for filling in the incomplete data and correcting its errors. Keywords: exogenous processes, monitoring, data, data processing, incomplete data. Sharapov R.V. O soglasovanii dannyh monitoringa jekzogennyh processov, poluchennyh iz raznorodnyh istochnikov [On the conformity of monitoring data obtained from various sources]// Mashinostroenie i bezopasnost’ zhiznedejatel’nosti [Engineering industry and life safety], 2013, № 4. – P.43-46. Wilks S.S. Moments and distributions of estimates of population from fragmentary samples // Annals of MathematicalStatistics, 1932, vol.3. – P. 163-195. Afifi A.A., Elashoff R.M. Missing observations in multivariate statistics // Journal of the AmericanStatisticalAssociation, 1966, vol. 61. – P. 595-604. Buck S.F. A method of estimation of missing values in multivariate data // Journal of the Royal Statistical Society Series B. 1960, vol. 22. – P. 202-206. Walsh J.E. Computer-feasible method for handling incomplete data in regression analysis // Journal of ACM, 1961, vol. 18. – P. 201-211. Gleason T.C., Staelin R. A proposal for handling missing data // Psychometrika, 1975, vol. 40. – P. 229-252. Frane G.M. Some simple procedures for handling missing values in multivariate analysis // Psychometrika, 1976, vol. 41. – P. 409-415. Rastrigin L.A., Ponamarev Yu.P. Jekstrapoljacionnye metody proektirovanija i upravlenija [Extrapolation methods, design and management]. – Moscow: Mashinostroenie, 1986. – 120 p.
Zhanatausov S.U.Metody prognosticheskih peremennyh. Mashinnye metody obnaruzhenija zakonomernostej [Methods prognostic variables. Machine methods of detection patterns] – Novosibirsk, 1981, vol. 88, Computer systems. – P. 151-155. Engelman L. An efficient algorithm for computing covariance matrices from data with missing values // Communications in Statistics PartB., 1982, vol. 11. – P. 113-121. Huseby J.R., Schwertman N.C., Allen D.M. Computation of the mean vector and dispersion matrix for incomplete multivariate data // Communications in Statistics Part B., 1980, vol. 9. – P. 301-309. Dempster A.P., Laird N.M., Rubin D.B. Maximum likelihood from incomplete data via the EM-algorithm // Journal of the Royal Statistical Society Series B, 1977, vol. 39. – P. 1-38. Little R.J., Smith P.J. Editing and imputation for quantitative survey data // Journal of the AmericanStatisticalAssociation, 1987, vol. 82. – P. 58-68. Little R.J., Rubin D. B. Statistical Analysis with Missing Data. – Chichester, John Wiley & Sons, 1987. 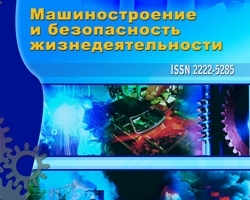 – 278 р.
Zagorujko N.G., Elkina V.N., Timerkaev V.S. Algoritm zapolnenija propuskov v jempiricheskih tablicah (algoritm ZET) [Algorithm fill the gaps in empirical tables (algorithm ZET)] // Vychislitel’nye sistemy [Computer systems]. Novosibirsk, 1975. vol. 61. Jempiricheskoe predskazanie i raspoznavanie obrazov [Empirical prediction and pattern recognition]. – P. 3-27. Gorban A.N., Novohodko Yu.A., Tsaregorodtsev V.G. Nejrosetevaja realizacija transponirovannoj zadachi linejnoj regressii [Neural implementation of the transposed linear regression problem] // Nejroinformatika i ee prilozhenija. Tes. docl. IV Vseross. seminara [Proceedings of Neuroinformatics and its applications], Krasnoyarsk, 5-7 October 1996. – P. 37–39. Gorban A.N., Rossiev A.A. Neural network iterative method of principal curves for data with gaps // Journal of Computer and Systems Sciences International. 1999. Т. 38. № 5. С. 825-830. Methods of processing incomplete data for geo-environmental monitoring, №1 (19) 2014, Sharapov R.V.